Andrey Bubnov was born in Ivanovo-Voznesensk on 23rd March 1883. He studied at the Moscow Agricultural Agricultural Institute and while a student joined the Social Democratic Labour Party. He supported the Bolshevik faction and over the next few years was arrested thirteen times. In 1909 Bubnov was made an agent of the Central Committee in Moscow but the following year he was back in prison. On his release he was sent to organize workers in Nizhny Novgorod. He also contributed to Pravda. On the outbreak of the First World War Bubnov became involved in the anti-war movement. He was arrested in October, 1916, and exiled to Siberia. Bubnov returned to Moscow after the February Revolution. He joined the Moscow Soviet and was elected to the Politburo and as a member of the Military Revolutionary Committee and helped organize the October Revolution. During the Civil War Bubnov joined the Red Army and fought on the Ukrainian Front. After the war he joined the Moscow Party Committee, and became a member of the Left Opposition. In January, 1924, he switched to supporting Stalin and was rewarded by being appointed as Head of Political Control of the Red Army. Elected to Central Committee he was appointed People’s Commissar for Education, but Stalin never trusted Bubnov and in 1934 he was removed from power, arrested in 1937 Andrey Bubnov and imprisoned where he died in 1940. British ambassador to Russia 1910-1918. Encouraged British intervention against the Bolsheviks. Long-time leader of the Canadian Communist Party, especially during the Great Depression. A machinist, Buck was born in Beccles, England and emigrated to Canada in 1910. In 1921, he participated in the founding convention of the Communist Party of Canada and came to prominence as a supporter of Joseph Stalin, and became General Secretary in 1929 after the old party leadership had been purged for supporting Trotsky and others had been removed for supporting Bukharin. Buck remained General Secretary until 1964, and was a supporter of the Soviet line throughout his tenure. On August 11, 1931, the Communist Party offices in Toronto were raided, and Buck and several of his colleagues were arrested and charged with sedition. Buck was tried in November, convicted of sedition and sentenced to hard labour. Buck ran for a seat in the House of Commons on six occasions. He won 25% of the vote, placing third, when he ran in Winnipeg North in the 1935 federal election. He won 26% of the vote when he ran in the Toronto riding of Trinity in the 1945 election, and 21% in the 1949 election. In the 1953 election, he won only 8.7% of the vote and then just 3.7% of the vote when he stood one last time in the 1958 election. Buck retired as general secretary of the Communist Party of Canada in 1962, but remained in the largely ceremonial position of party chairman until his death in 1973. Historian who projected a monumental History of Civilization in England in which he attempted a scientific method of historical interpretation based upon environmental and sociological factors. Son of peasant, studied to become engineering technician, member of SPD (Sozialistische Partei Deutschlands, Social-Democratic Party) in 1910, joined Spartacus League during War, and, under name ‘Brandt’, was one of Jogiches’ principal collaborators in underground organisation. 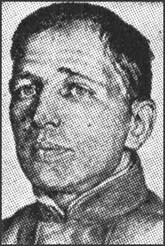 Joined USPD in 1917, arrested in March 1918, and set free by November Revolution. Organised League of Red Soldiers in November 1918, seriously wounded and lost an arm as a result of the shooting on 6 December. Took part in Munich Soviet Republic in March 1919, member of its Executive Committee under the name of ‘Dietrich’. Shared with Friesland and other Berlin leaders responsibility for appeal of 13 March 1920. Was also in USSR in that year, and received military training. Arrested in 1921, escaped and returned to USSR. His role in 1923 is not known. In Moscow, was in leadership of International Workers’ Relief, and then, under the name of Gerbilski, Soviet trade representative in Vienna. Returned to Germany in 1929, arrested in 1933, released, and once more emigrated. Arrested in 1937 during purges, and died in prison in 1941 or 1942. Sergeant in the Tsarist cavalry during the First World War, who became commander in the Red Army during the Civil War. Joined the Bolshevik Party in 1919. Leader of First Cavalry Army; supporter of Stalin from the beginning as a member of the Tsaritsyn military clique. Sat on military tribunal which passed death sentences on Red Army commanders massacred by Stalin in the ‘Purge of the Generals’. In 1940 Stalin appointed him First Deputy People’s Commissar of Defence: proved incompetent commander in the Second World War and made a confession of guilt at the 22nd Congress of the CPSU. Bolshevik before the revolution. Met Trotsky in New York and the two were close until Bukharin joined Stalin’s struggle for power in 1923. Member of the ’Left-Communist’ faction which opposed signing of Brest-Litovsk Peace in 1917 in favour of a revolutionary war; Formed right bloc with Zinoviev, Kamenev and Stalin in 1923 against Trotsky, and was the major spokesperson for the turn to the rich peasants during the NEP. Remained with Stalin after Zinoviev and Kalinin joined the Left Opposition. Editor of Pravda 1918-1929. Head of Comintern 1926-1929. Broke with Stalin in 1928 to lead the Right Opposition. 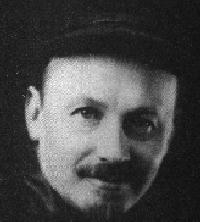 Trotsky remarked that Bukharin “must always attach himself to someone, becoming nothing more than a medium for someone else’s actions and speeches. You must always keep your eye on him." His devotion to theoretical economics was tireless, and he was considered one of the principal theoreticians of the Bolshevik Party; authored a text book on Communism entitled The ABCs of Communism. Serge wrote, “His mind was effervescent, always alert and active, but rigorously disciplined. ... a good-natured cynicism". Expelled in 1929 from the party for his thoughts, he recanted soon afterwards. Executed after the Third Moscow Trial in 1938. (Under Gorbachev, Bukharin’s wife revealed that his confession was forced and published his hitherto secret rebuttal. There was an attempt to ’rehabilitate’ Bukharin at this time, seeking for a theoretical and historical justification for ’market socialism’). Russian writer philosopher, theologian and critic of Marxism. British general who served in China, West Africa, Egypt and the Sudan and became Commander-in-Chief in the Boer War in 1899. Succeeded by Roberts the following year as a result of military failures in South Africa. Born Birkenhead, England. Joined Workers International League in Liverpool. Enlisted in Royal Air Force. Stationed in India with the 136 Repair and Salvage Unit. Worked with Bolshevik Leninist Party of India, 1945-47. Returned to UK. Employed in the Post Office. Worked in the RCP and with Ted Grant group in the ‘fities. Retired to Worthing. The son of Sidney Bunting, he was a leader of the Communist Party of South Africa and a journalist. Born in 1920 in Johannesburg, he graduated from the University of the Witwatersrand in 1939. He then worked as a sub-editor on the Rand Daily Mail and the Sunday Times of Johannesburg. After serving in North Africa and Italy during World War II, he became assistant editor of the Guardian. Later he became chief editor of The Guardian and its successor publications, Advance, Clarion, Peoples’ World, and New Age, which was published in Cape Town (except during the 1960 emergency) until it was banned in 1962. He was assistant national secretary of the Springbok Legion and an editor of its journal, Fighting Talk. In 1946 he was elected to the Johannesburg district committee of the Communist Party, and later served on the party’s central committee. He was arrested following the 1946 African mine strike, but charges against him were subsequently dropped. From November 1952 to October 1953 he was a Natives’ representative in the house of Assembly from Cape Western district. Elected to succeed Sam Kahn, he was, like Kahn, expelled from the Parliament because of his membership in the CPSA. Banned since 1952, detained in 1960, and placed under house arrest in 1962. He was prohibited from publishing in 1963 when he was a writer for spark. Shortly afterwards he left South Africa for London. His writings include The Rise of the South African Reich (1964 and 1969). From South African History Site. Bunting was a founder member and principal architect of the Communist Party of South Africa (CPSA). Bunting was born in London in 1873, the great grandson of Jabez Bunting, the Wesleyan leader, and the son of Percy Bunting, who was the first editor of the Contemporary Review. His mother did social work among London’s poor. Bunting graduated from Oxford and came to South Africa in 1900 with British forces in the Boer War. He decided to remain and take up legal studies, eventually establishing a law practice in Johannesburg. By 1910 he had become sympathetic to the views of the Labour Party, and in March 1914 he was elected to the Transvaal provincial council on its ticket. He subsequently broke with the party on the issue of participation in the war, and together with W.H. 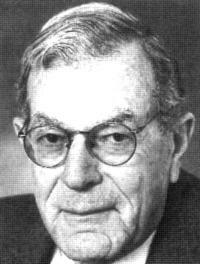 Andrews and others he split away to form the anti-war International Socialist League (ISL). By the time the CPSA was formed in 1921, Bunting had broken completely with the labour movement, though he continued to believe that the white workers would eventually see the need to unite on class lines with workers of other races. In 1922 Bunting went to Moscow to attend the fourth Congress of the Communist International. On his return he took over a secretary ship of the CPSA from Andrews, and in 1924 he was elected party chairman. The Industrial and Commercial Workers’ Union of Clements Kadalie was then becoming a force to be reckoned with, and Bunting’s belief in the potential for trade unionism among blacks no longer seemed as far-fetched as it once had to some in the ISL. Under his leadership the CPSA turned seriously to the recruitment of Africans. When support from white socialists proved inadequate, Bunting paid party expenses from his own pocket. Through his legal defence of political radicals, he won much African goodwill. The 1928 Comintern decision that South African communists were to advocate a “Native Republic” came as a shock to Bunting, who rightly foresaw that the slogan would decimate the party. With Edward Roux, Bunting and his wife Rebecca went to Moscow to the sixth Comintern congress in 1928 to argue against the new doctrine. They were unsuccessful, however, and Bunting found himself castigated as a white chauvinist and right-wing deviationist. He reluctantly accepted the Comintern directive and returned to South Africa to make the most of the new policy. In the 1929 election year, Bunting ran as a Communist candidate in Tembuland in the Transkei, where almost half the electorate was black. Police harassment was intense, and he polled only 289 votes. Following the campaign, Bunting and Roux began an abortive effort to organize the League of African Rights, which they hoped would become a socialist-oriented mass movement for Africans, but Moscow ordered the league dissolved. Being an empiricist more than a philosopher, according to his biographer Edwards Roux, Bunting was always vulnerable to the charge that he was deficient in Communist theory. Acknowledging this deficiency, he remained loyal to the Communist cause and to Soviet leadership even when his own judgement put him in conflict with Comintern policy. When Douglas Wolton returned to South Africa to South Africa in 1930 with instructions to eliminate “chauvinists” and “social democrats” from the party leadership, Bunting came under fierce attack and was expelled in September 1931. Drained financially and, for health reasons, unable to carry on with his law practise, his took a job as a viola player in a Johannesburg orchestra. Later when a stroke had partially paralyzed his fingers, he found employment as a building superintendent. A prolific writer to the end, he produced a pamphlet in 1933, An African Prospect and Appeal to Young Africa, East, West, Central, South calling for the establishment of a socialist order on a continental scale. Unlike Andrews, Bunting did not live to win readmission to the CPSA following the ultra-left period of the 1930’s. He died of a stroke in1936. A group of his friends subscribed an annual scholarship in his name at Fort Hare University, and Edwards Roux wrote an account of his life, S. P Bunting: A political Biography, which appeared on 1944. Source: Karis, T.G. & Gerhart, G.M.. From Protest Challenge: A Documentary History of African Politics in South Africa, Vol. 4: Political Profiles. 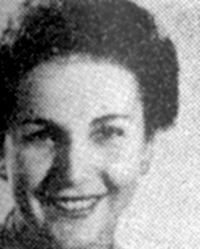 Born Sonia Isaacman in Johannesburg in 1922, she joined the Communist Party in 1942 and gave up her university studies to do full-time political work. After the banning of the Communist Party of South Africa in 1950, she joined the staff of The Guardian newspaper and later became secretary of the Cape Town Peace Council. In 1951 she attended the World Youth Congress in Berlin as a member of a South African delegation that was lead by Ahmed Kathrada. In 1955 Sonia Bunting was one of the platform speakers at the Congress of the People in Kliptown where the Freedom Charter was adopted. In 1956 Sonia Bunting was arrested and charged with high treason. After being held in prison for two weeks she was finally acquitted from the marathon Treason Trial, along with 91 others in October 1958. In 1959 she was banned from attending meetings and ordered to resign from 26 organisations. After the Sharpeville massacre in 1960, she was detained for three and half months at Pretoria Central Prison and in 1962 placed under house arrest with her husband Brian. In 1963 Sonia Bunting went into exile and there she continued her work for the Communist Party and held numerous positions in the liberation movement including running the only office of the SACP in the world for twenty years. Sonia was the organiser of the World Campaign for the Release of South African Political Prisoners, which mobilised worldwide support for the Rivonia accused and played a significant part in saving Nelson Mandela and other leaders from the death penalty. In 1991, after the unbanning of the ANC and SACP, Sonia and her husband Brian returned to Cape Town where they continued their political work. Sonia was a founder member of the Cape Town Friends of Cuba Society. She died in Cape Town in March 2001. 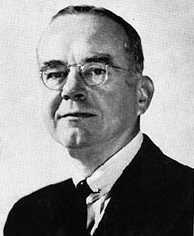 American popular political theorist, best known for his influential work The Managerial Revolution, published in 1941. Burnham was a radical activist in the 1930s and an important factional leader of the American Trotskyist movement, while in later years, he turned to conservatism and served as a public intellectual of the conservative movement. Born in Chicago, Illinois, James Burnham was the son of Claude George Burnham, an English immigrant and executive with the Burlington Railroad. James was raised as a Roman Catholic stock but rejected Catholicism as a college student, professing atheism for much of his life (although returning to the church shortly before his death). He graduated at the top of his class at Princeton University before attending Balliol College, Oxford. A member of the A.J. Muste’s American Workers Party in the early 1930s, Burnham supported the 1934 merger with the Communist League of America which formed the U.S. Workers Party. In 1935 he allied with the Trotskyist wing of that party and favored fusion with the Socialist Party of America. However, Burnham’s engagement with Trotskyism was short-lived: from 1937 a number of disagreements came to the fore. In 1937 the Trotskyists were expelled from the Socialist Party, an action which led to the formation of the Socialist Workers Party (SWP) at the end of the year. Inside the SWP, Burnham allied with Max Shachtman in a faction fight over the position of the SWP’s majority faction, led by James P. Cannon and backed by Leon Trotsky, defending the Soviet Union as a degenerated workers state against the incursions of imperialism. Shachtman and Burnham, especially after witnessing the Nazi-Soviet pact of 1939 and the invasions of Poland, Latvia, Lithuania, and Estonia by the Stalin regime, as well as the Soviet invasion of Finland in November 1939, came to contend that the USSR was a new form of imperialistic class society and was thus not worthy of even critical support from the socialist movement. After a protracted discussion inside the SWP, in which the factions argued their case in a series of heated internal discussion bulletins, the special 3rd National Convention of the organization in early April 1940 decided the question in favor of the Cannon majority by a vote of 55-31. Even though the majority sought to avoid a split by offering to continue the debate and to allow proportional representation of the minority on the party’s governing National Committee, Shachtman, Burnham, and their supporters resigned from the SWP to launch their own organization, again called the Workers Party. “The general Marxian theory of ‘universal history,’ to the extent that it has any empirical content, seems to me disproved by modern historical and anthropological investigation. “Marxian economics seems to me for the most part either false or obsolete or meaningless in application to contemporary economic phenomena. Those aspects of Marxian economics which retain validity do not seem to me to justify the theoretical structure of the economics. “Not only do I believe it meaningless to say that ‘socialism is inevitable’ and false that socialism is ‘the only alternative to capitalism’; I consider that on the basis of the evidence now available to us a new form of exploitive society (which I call ‘managerial society’) is not only possible but is a more probable outcome of the present than socialism. In 1941, Burnham wrote a book analyzing the development of economics and society as he saw it, called The Managerial Revolution: What is Happening in the World. During World War II, Burnham went on to work for the Office of Strategic Services (OSS), a forerunner of the Central Intelligence Agency. After the war, he called for an aggressive strategy to undermine the Soviet Union’s power. During the Cold War, he regularly wrote for the National Review magazine. In 1983, conservative Republican President Ronald Reagan awarded him the Presidential Medal of Freedom. Burnham’s ideas were an important influence on both the paleoconservative and neoconservative factions of the American Right Wing. Dust jacket of the 1941 edition of Burnham’s seminal work. Burnham looked around the world for indications of the new form of society which was emerging to replace historic capitalism and saw certain commonalities between the economic formations of Nazi Germany, Stalinist Russia, and America under Franklin D. Roosevelt and his “New Deal.” Burnham argued that over a comparatively short period, which he dated from the first world war, a new society had emerged in which a “social group or class” which Burnham called “managers” had engaged in a “drive for social dominance, for power and privilege, for the position of ruling class.” For at least a decade previous to Burnham’s book, the idea of a “separation of ownership and control” of the modern corporation had been part of American economic thought, with Burnham citing The Modern Corporation and Private Property by Berle and Means as an important exposition. Burnham expanded upon this concept, arguing that whether ownership was corporate and private or statist and governmental, the essential demarcation between the ruling elite (executives and managers on the one hand, bureaucrats and functionaries on the other) and the mass of society was not ownership so much as it was control of the means of production. The conservative implications of Burnham’s ideas seem clear. In June 1941, a hostile review of The Managerial Revolution by Socialist Workers Party loyalist Joseph Hansen in the SWP’s theoretical magazine accused Burnham of having lifted the central ideas of his book “without acknowledging the source” from the Italian Bruno Rizzi and his 1939 book La Bureaucratisation du Monde. Despite certain similarities, there is no evidence Burnham knew of said book beyond Leon Trotsky’s brief references to it. His 1964 book Suicide of the West became a classic text for the conservatives of the Right Wing movement in U.S. politics, defining liberalism as a “syndrome” rendering liberals ridden with guilt and internal contradictions. The works of James Burnham greatly influenced paleoconservative author Samuel Francis, who wrote two books about Burnham, and based his political theories upon the “managerial revolution” and the resulting managerial state. The son of an engineer, was born in Lambeth, London on 20th October, 1858. After a brief education became an apprentice in the engineering industry. One of his fellow workers, Victor Delahaye, introduced Burns to radical writers such as John Stuart Mill, Thomas Carlyle and John Ruskin. 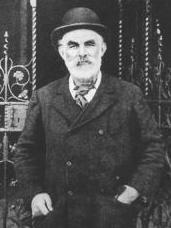 John Burns was elected to the executive council of the Social Democratic Federation and in the 1885 General Election was their unsuccessful candidate in Nottingham West. The following year he led a demonstration in London against unemployment. The march degenerated into a riot and Burns was arrested and charged with conspiracy and sedition. He was acquitted but in November, 1887, he was arrested with his friend, Robert Cunninghame Graham during the Bloody Sunday demonstration in London. This time he was sentenced to six weeks in prison. In June, 1889, John Burns left the Social Democratic Federation after a disagreement with the party’s leader, H. Hyndman. Like his friend, Tom Mann, Burns was now convinced that socialism would be achieved through trade union activity rather than by parliamentary elections. The employers hoped to starve the dockers back to work but other trade union activists such as Will Thorne, Eleanor Marx, James Keir Hardie and Henry Hyde Champion, gave valuable support to the 10,000 men now out on strike. Organizations such as the Salvation Army and the Labour Church raised money for the strikers and their families. Trade Unions in Australia sent over £30,000 to help the dockers to continue the struggle. After five weeks the employers accepted defeat and granted all the dockers’ main demands. Burns was now a well-known labour leader and in the elections for the newly created London County Council, he was elected to represent Battersea. At one of the meetings Burns managed to get a motion passed that stated that in future all Council work should only be awarded to those contractors who agreed to observe trade union standards on wages and working conditions. Supporters of Burns point out that he did have his successes. For example, he piloted through the House of Commons the 1910 Census Bill that sought to obtain more information about both family structure and urban conditions in order for the government to develop policies to tackle problems such as infant mortality and slum housing. By 1913 his administrative reforms had resulted in a more effective deployment of medical staff in the infirmaries. In 1914 Burns was appointed as President of the Board of Trade. However, soon afterwards, the British government decided to declare war on Germany. Burns was opposed to Britain becoming involved in a European conflict and along with John Morley and Charles Trevelyan, resigned from the government. Burns, without the support of the Liberal Party or the Labour Party, and aware that the public felt hostile to those politicians who did not fully support Britain’s involvement in the First World War, decided not to stand in the 1918 General Election. Burns played no further role in politics after 1918. The following year Andrew Carnegie left Burns an annuity of £1,000. Burns spent the rest of his life on his hobbies: the history of London, book collecting and cricket. John Burns died on 24th January, 1943. Once leader of the Socialist Workers Party (U.S.), broke with the SWP near the end of the Great Depression and later became a part of right-wing movements such as McCarthyism. Love interest of Engels. They were married shortly before she died. One-time lover/admirer of Frederick Engels and sister of Lizzy Burns. German physiologist and member of the First International. Radical journalist in Cologne. Rheinische Zeitung staffer 1842-43. 1848 member of the Cologne chapter of the “League of Communists.” Editorial staffer at Neue Rheinische Zeitung in 1848-9. In 1850, member of the central authority of the “League of Communists.” In 1852, one of principal defendants in the Cologne communists trial and sentenced to six years prison. Later, became a national liberal. English author. He was the son and grandson of eminent clergymen. In 1859, refusing to be ordained, he went to New Zealand, where he established a sheep farm and in a few years made a modest fortune. He returned to England in 1864 and devoted himself to a variety of interests, including art, music, biology, and literature. Besides exhibiting some of his paintings (1868–76) at the Royal Academy, he composed several works in collaboration with Henry Festings Jones, among them the Handelian Narcissus: A Dramatic Cantata (1888). His Erewhon, in which he satirized English social and economic injustices by describing a country in which manners and laws were the reverse of those in England, appeared in 1872. It brought Butler immediate literary fame. Erewhon Revisited was published in 1901. Butler opposed Darwin's explanation of evolution, finding it too mechanistic, and he expounded his own theories in Evolution Old and New (1879), Unconscious Memory (1880), and Luck or Cunning as the Main Means of Organic Modification? (1887). In his single novel, the autobiographical The Way of All Flesh (1903), he attacked the Victorian pattern of life, in particular the ecclesiastical environment in which he was reared. Brilliantly ironic and witty, The Way of All Flesh is ranked among the great English novels. Butler's notebooks were published in 1912.